This important new book provides a framework for complementarity between promoting and protecting human rights and combating corruption. 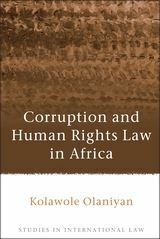 The book makes three major points regarding the relationship between corruption and human rights law. First, corruption per se is a human rights violation, insofar as it interferes with the right of the people to dispose of their natural wealth and resources and thereby increases poverty and frustrates socio-economic development. Second, corruption leads to a multitude of human rights violations. Third, the book demonstrates that human rights mechanisms have the capacity to provide more effective remedies to victims of corruption than can other criminal and civil legal mechanisms. The book takes up one of the pervasive problems of governance--large-scale corruption--to examine its impact on human rights and the degree to which a human rights approach to confronting corruption can buttress the traditional criminal law response. It examines three major aspects of human rights in practice--the importance of governing structures in the implementation and enjoyment of human rights, the relationship between corruption, poverty and underdevelopment, and the threat that systemic poverty poses to the entire human rights edifice. The book is a very significant contribution to the literature on good governance, human rights and the rule of law in Africa. 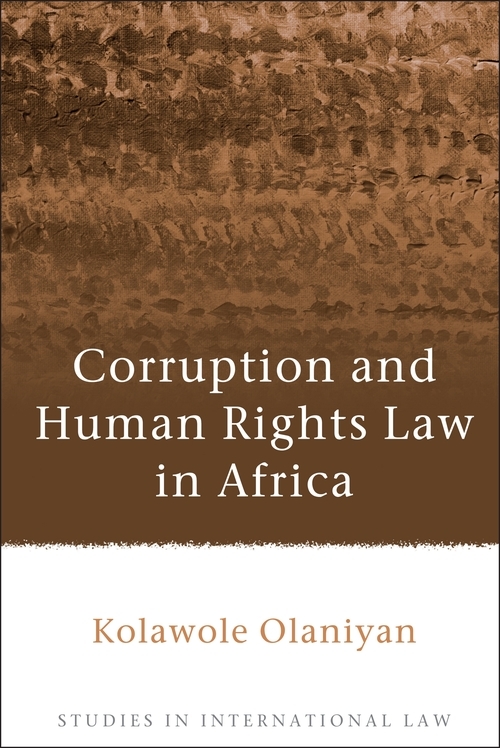 "Kolawole Olaniyan has taken up one of the pervasive problems of governance - large-scale corruption - to examine its impact on human rights and the degree to which a human rights approach to confronting corruption can buttress the traditional criminal law response. His focus is Africa, but the valuable lessons he teaches in this comprehensive study can resonate throughout the world. The result is a comprehensive and holistic legal framework for addressing some of the root causes of human rights violations and poverty, not only in Africa, but wherever corruption exists." "This book demonstrates the author's mastery of complex jurisprudential and theoretical discourses. His review of the existing literature is extensive, the doctrinal analysis rigorous and the treatment of the subject innovative. Dr. Olaniyan's willingness to introduce fresh eyes to the ways in which doctrine contributes to an understanding of seemingly mundane problems lays the foundation for fertile trajectories from which future scholars can launch exciting inquiries on the relationship between corruption and human rights. Overall, this book makes an important and valuable contribution to the growth and understanding of the corruption/human rights discourse as it is presently constructed." Ndiva Kofele-Kale, University Distinguished Professor of Law, SMU Dedman School of Law, Dallas, USA.